KUALA LUMPUR: Bombardier Transportation, the rail equipment division of the Canadian firm, Bombardier Inc, is keen to support the Kuala Lumpur - Singapore High Speed Rail (KL-SG HSR), especially in terms of rolling stock, signalling segments and maintenance services. Bombardier Malaysia Chief Country Representative Ahmad Marzuki Ariffin said the group will bid for the KL-SG HSR project and support the overall project across all the three segments. "Bombardier has been maintaining train fleets around the world over the last five decades. We are one of the world's largest suppliers of rolling stocks," he told Bernama on Tuesday (Jul 4). Marzuki said the group also excelled at high-speed signalling systems, providing the service to HSRs in Europe and China. Bombardier entered the Malaysian market in 1992, when Bombardier Transportation and Taylor Woodrow International were the lead sponsors of the Kuala Lumpur Sri Petaling and Ampang STAR (Sistem Transit Aliran Ringan) Lines. He added that Bombardier had also been supplying on-board signalling technology to Keretapi Tanah Melayu Berhad (KTMB) and provided its advanced communications-based train control (CBTC) solution for two of the Klang Valley Rapid Transit network (KVMRT) lines. Marzuki said Bombardier was actively communicating with stakeholders to assist in future projects such as the KL-SG HSR and the third phase of the KVMRT line. Bombardier had received close to US$1 billion (US$1=RM4.30) worth of orders in Malaysia. Meanwhile, Singapore's Land Transport Authority and Malaysia’s MyHSR Corporation are reportedly ready to conduct an industry briefing this month to outline the parameters for the upcoming asset company tender for the KL-SG HSR. 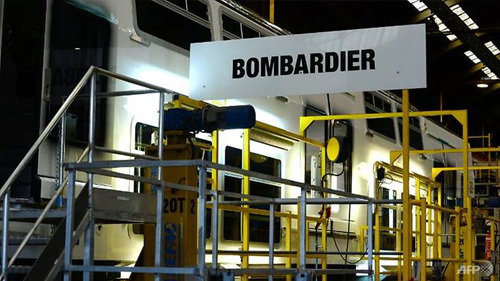 On the briefing meeting, Bombardier Transportation said it would be making its decision based on the tender specifications, adding, it was too early to say whether it would be working with a partner or go solo on the project. Meanwhile, Bombardier’s Project Director for the KVMRT Line Two, Ariffin Nawawi said the Trans-Asia railway network services from Singapore would eventually extend up to Kunming, China. “The double tracking from Kuala Lumpur to Padang Besar (Perlis) is already completed and Bombardier supplied the on-board equipment for the signalling system component of the project,” he added. Ariffin, who was also in charge of Bombardier Malaysia’s Rail Control Solutions Division, however said, the company was facing a number of competitors who were bringing in their own products at competitive prices. “So, we need to be innovative to grab market share,” he added.